HORSHAM, Pa., June 21, 2018 (GLOBE NEWSWIRE) -- The HR Technology Conference & Exposition® first annual “Pitchfest” event continues to gain significant momentum, especially given a new sponsorship from the Randstad Innovation Fund. Designed to recognize startups that are contributing to the future of work, Pitchfest has partnered with Randstad Innovation Fund to offer a single $25,000 prize to the winner of the first annual competition, as well as a $5,000 diversity prize. Last year we had an exciting and successful launch of our new “Next Great HR Technology Company Competition.” Four of the top analysts in HR technology each coached two startups throughout the summer. 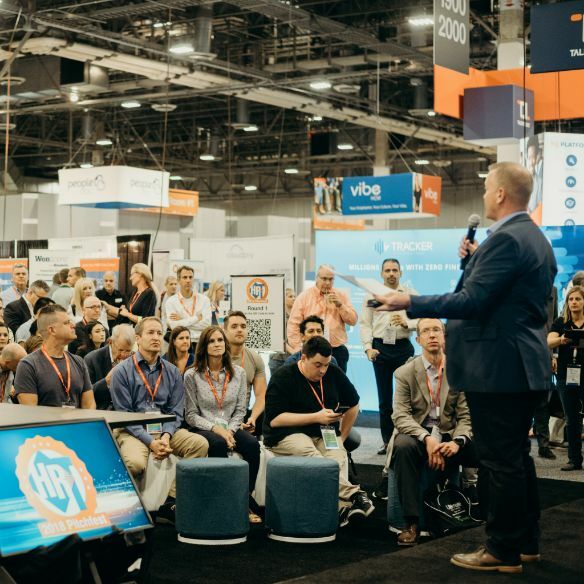 It culminated at the annual HR Technology® Conference and Exhibition where all eight presented to the crowd and session attendees voted a winner.